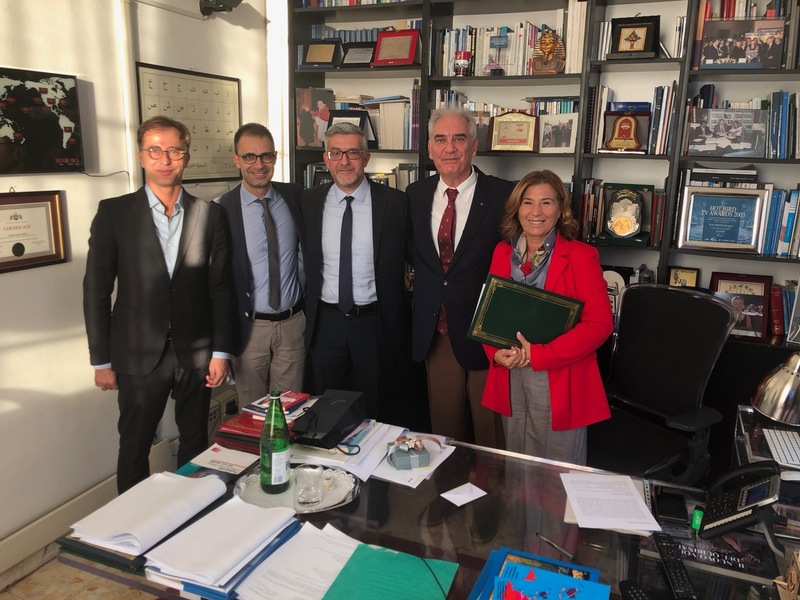 Cyber-archaeology, archaeometric applications, digitalization of archeological heritages: here are some of the strong points of the agreement signed yesterday between the Cultural Heritage Faculty of the International Telematic University UNINETTUNO and the Department of Mediterranean Studies of the University of the Aegean in Greece. Technological innovation, valorization and conservation of the Mediterranean cultural heritage pool together thank to the engagement of these two universities and of two countries – Italy and Greece – in the middle of the Mediterranean Basin, cradle of the our civilization, based on a shared engagement: putting innovation and the new technologies at the service of culture in order to rediscover the roots of our history. In addition, new programs will offer our students of the Cultural Heritage Faculty, opportunities to pass study periods in Greece and take part in archeological excavations in the most important areas of Greece and of the Mediterranean Area. UNINETTUNO working for Dubai 2020 Expo UNINETTUNO at the Maker Faire 2018!